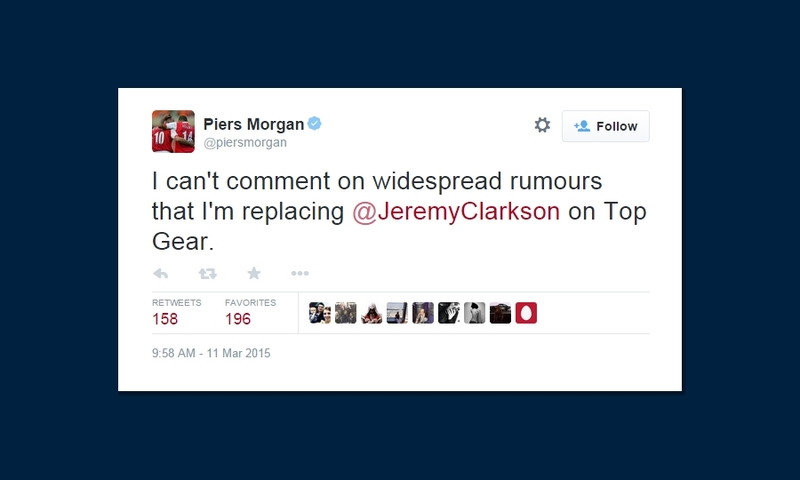 Twitter reacted to news of Top Gear host Jeremy Clarkson's suspension with pleas, job offers, and rumors. 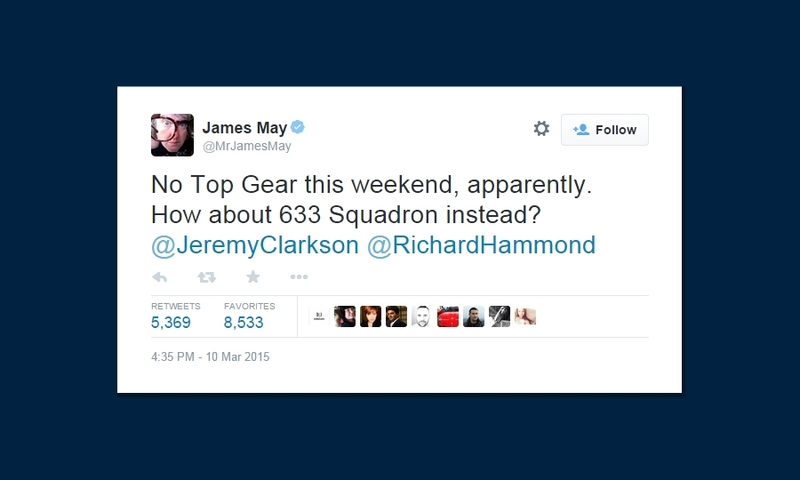 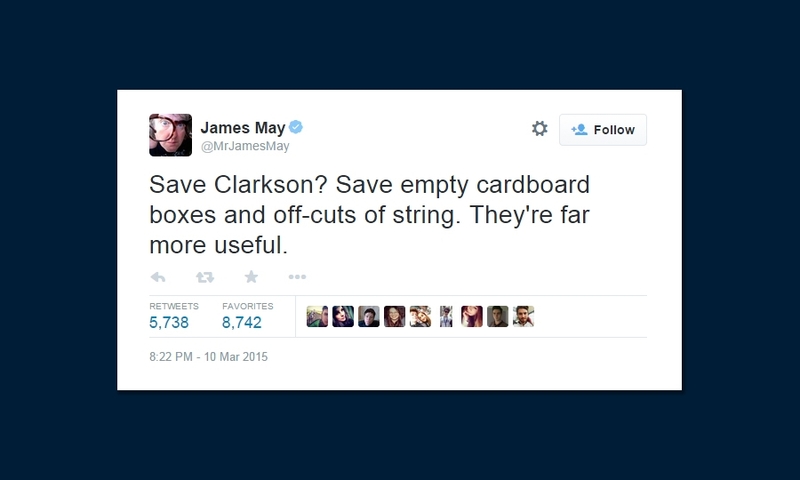 James May, Clarkson's Top Gear co-host, jabs the suspended celebrity. 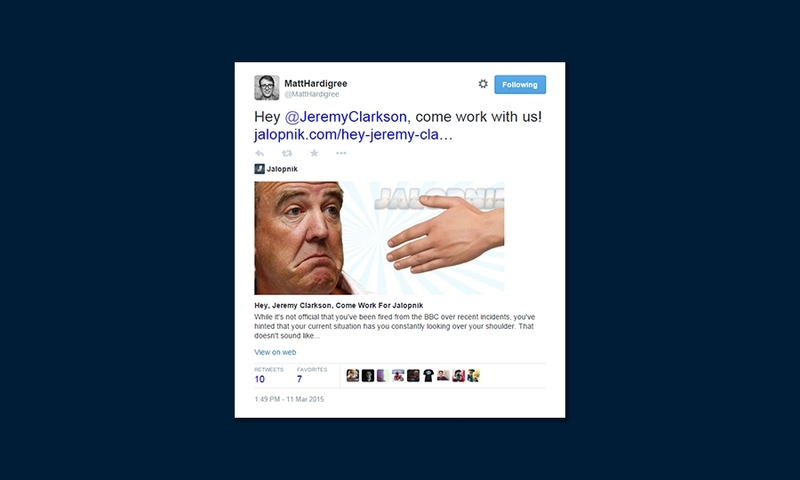 Matt Hardigree, editor of popular auto blog Jalopnik, offers Clarkson a new job. 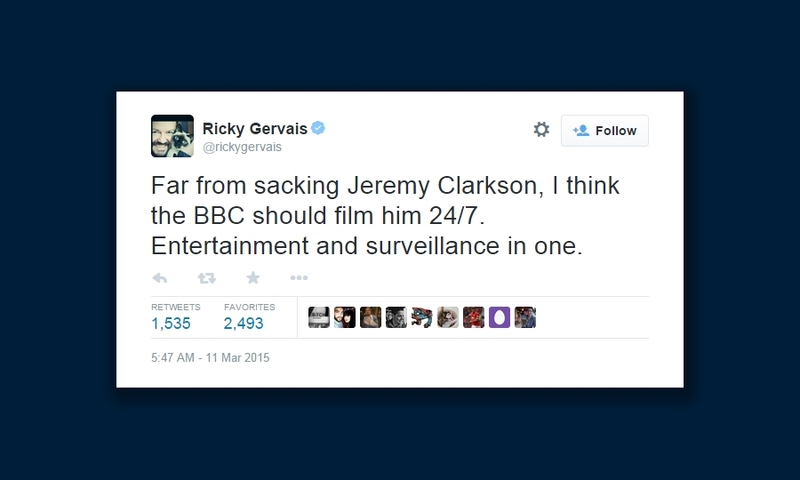 Clarkson still has many friends, including British comedian Ricky Gervais of "The Office" fame. Clarkson's daughter commented on the situation as well. 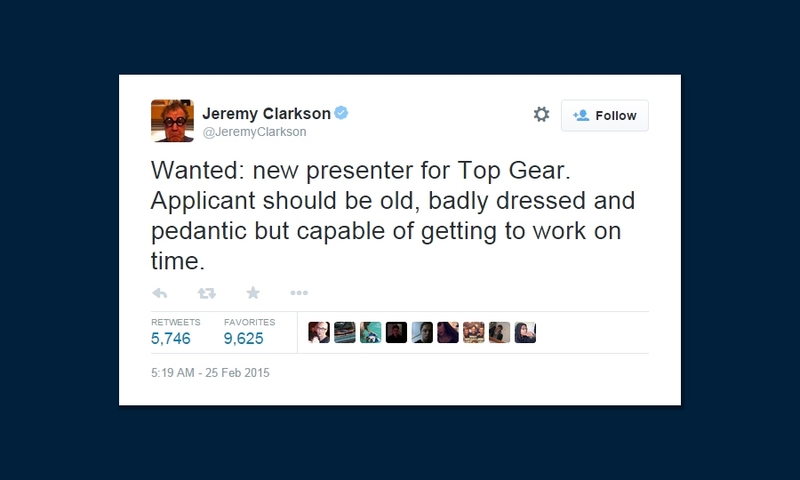 When news broke that the remaining episodes of Top Gear would not broadcast, the hosts began musing on what would be played instead. 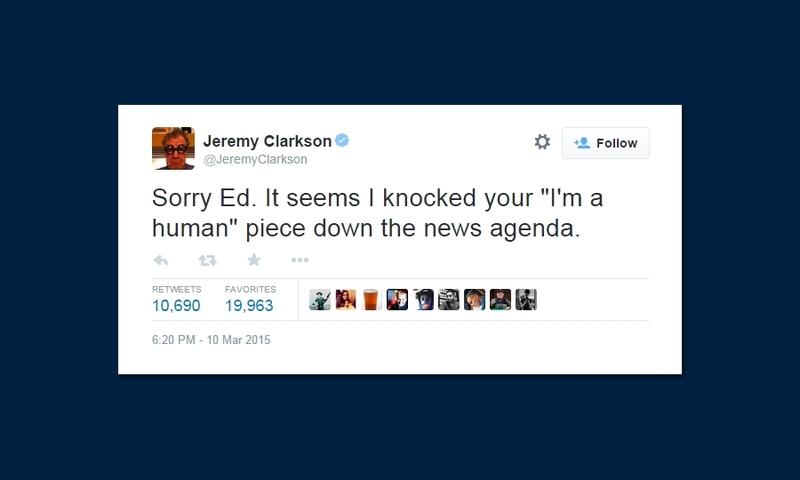 This tweet was actually sent before Clarkson's suspension, but seems prescient in retrospect. 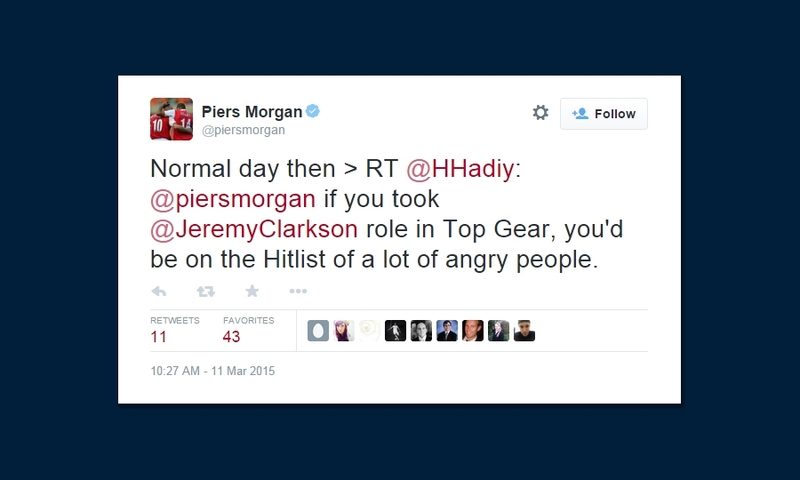 Click through our gallery to see a selection of tweets from Piers Morgan, Ricky Gervais, Top Gear hosts, and more.